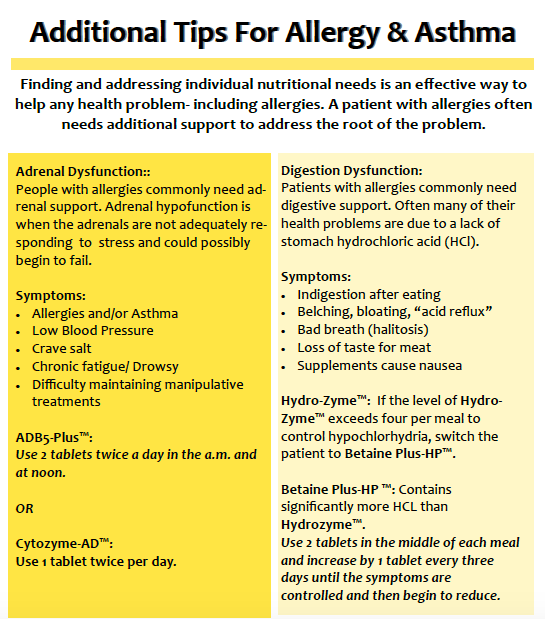 This month we have focused on helping you stop allergies without medication and we have a handout in this blog we use to help our practice members who have asthma. We have had great success healing asthmatic symptoms with chiropractic adjustments and these nutritional supplements. You can find Histoplex-AB and Pneuma-Zyme on druglessdoctor.com, or at a Westlake or Elyria offices.